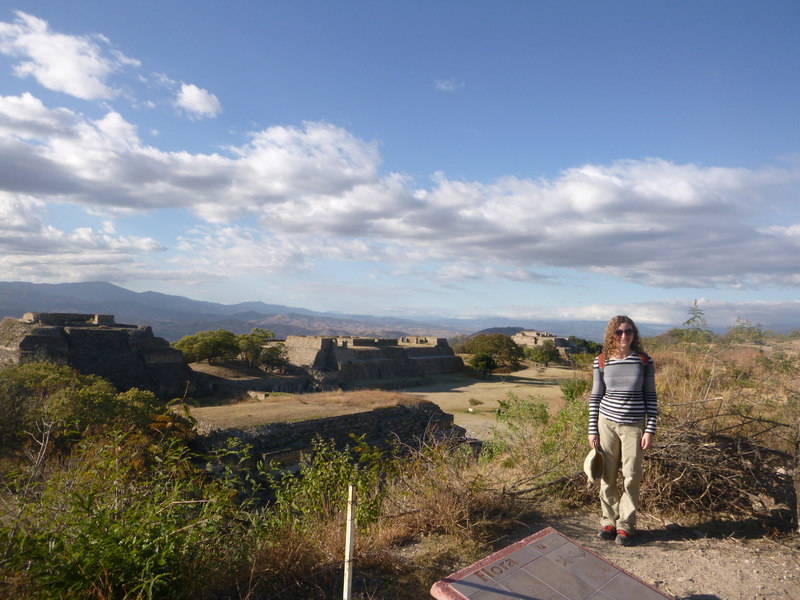 Our couch surfing friend very kindly took us to the Mayan ruins named Monte Alban, just outside of the Oaxaca city. They were a spectacular site. Barely any visitors were there so we were able to walk around imagining what it was like in 300 BCE when the population was estimated to be 5,200 and then increased to 17,200 in 100 BCE. 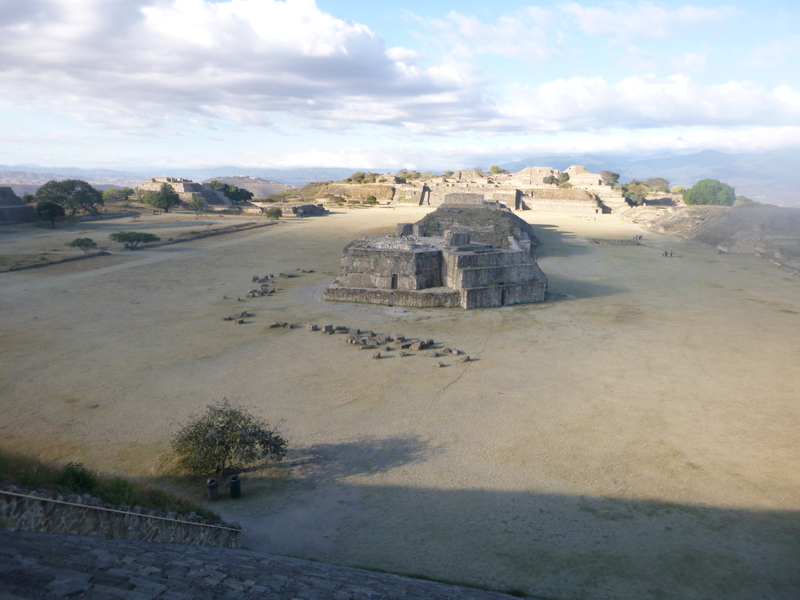 It was the most powerful region in the state of Oaxaca. It atoned me how historically people were so talented and clever knowing exactly how to build these structures by following astronomical constellations. Not only did they build their pyramids in this manner but they also used the solar system to calculate the time of day. They looked at how the light sat on specific objects. Furthermore, they used plants as natural remedies. Arnica was used much before our time. 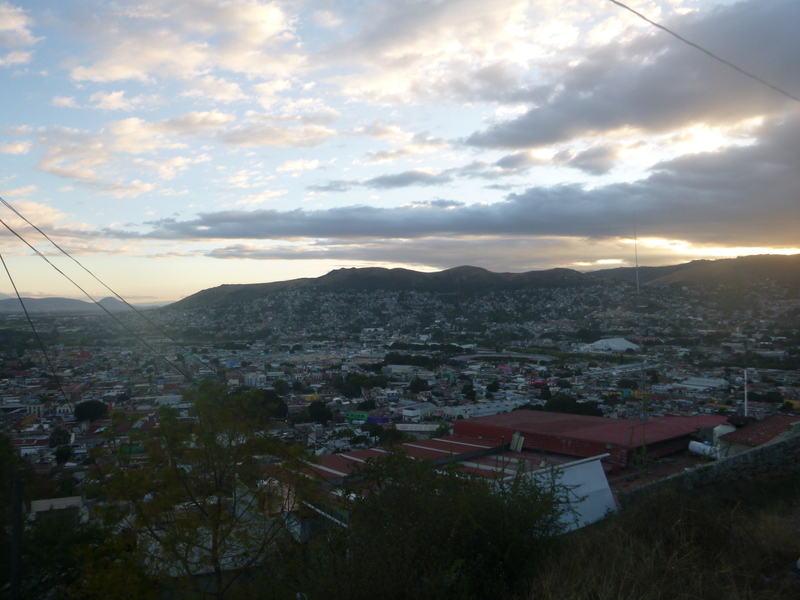 On the drive back we saw the suburbs of Oaxaca. While the city where we we saying was beautiful, clean, safe and colourful, the suburbs inhabited by the majority of citizens were such a contrast. I noticed this in Mexico city too. It was saddened me to see. I think to get the full experience I should explore some of these suburbs and stay there. However, I am not sure how feasible and sensible this would be. The houses were build practically on top of each other. Then it was time for our last Oaxaca market dinner before heading off for the night bus to San Cristobal. The juices are all so tasty. I had fresh melon juice and an special Oaxaca cheese sandwich. Followed by a Mexican pastry. –Staying in a well located hostel was important to me. Don Nino – was great for this. It was near enough the bus station to walk to and was also near the zocalo – only a 15 minute walk. It was clean, cosy and had great breakfasts. -If not sure what to do check out the zocalo – there was always something occurring there from dancing to festive parades. 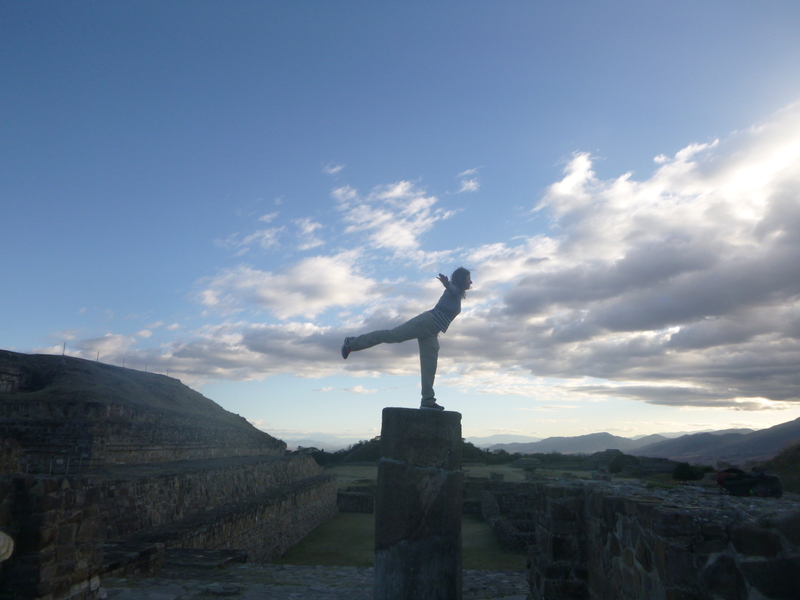 -Arriving in Oaxaca at night or walking around in the evening is completely safe (obviously still be street wise but no need to worry about being alone here at dark). -Taking day tours are pretty much the same price as taking the bus to places, all very inexpensive. Taking the tours provides a guide so might have been better than taking public transport like I did (although public transport gives you the freedom to stay in the place as long as you want rather than a tour schedule). -The cheapest and best food is where the Mexican’s go. So to find a place to eat either ask around or go to the cheap busy places. Normally the traditional places have a starter, main and jug of authentic juice for £2 (40 pesos). 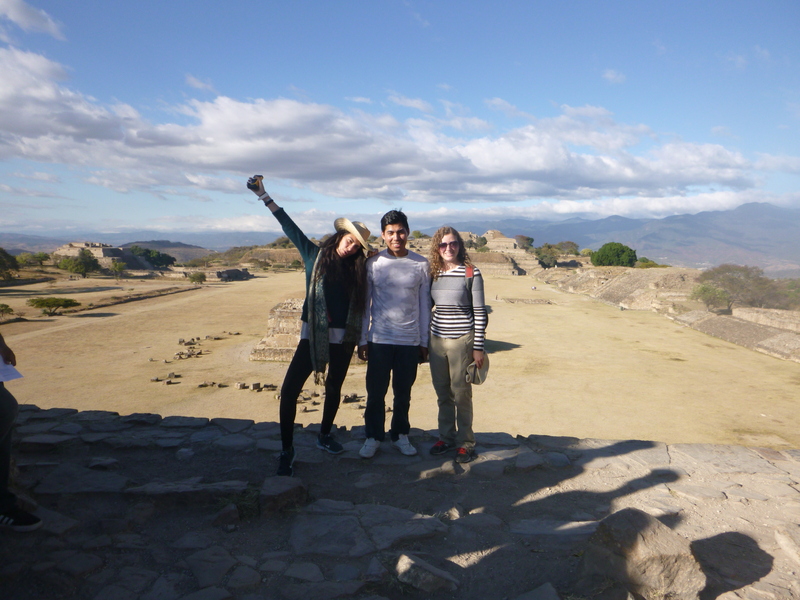 Good to see that you went to Monte Alban. You are following in my footsteps. When I went I got a tour from the local historian: a young guy who spoke English. He’d say things like: “Look at that hill over there. There’s another pyramid underneath, but the government can’t afford to excavate it.” Who knows, perhaps they have now, since that was almost 30 years ago.